This evening I was e-mailed links to an article posted by the Deseret News. While it seems to be written to “debunk” the story which I published over the weekend that the LDS Church owned canneries East of the Mississippi would be halting the canning of goods in their facilities, anyone with any reasonable reading comprehension skills will see that instead of debunking anything I've written, the quotes from LDS Church spokesperson, Ruth Todd, actually substantiate key points of my article. “That, Todd said, is not accurate. No, the LDS Canneries Will NOT Be Closed--yet. Since my original article said nothing about the LDS Church closing any of their canning facilities, merely that the canning would “halt” on cannery locations and that there would be pre-packaged foods offered now as the only purchase option offered at such facilities, it appears that Todd and Walker’s intended “debunking” of my article only lends to support my claims. But I gotta say, in reading this piece, I’ve not been that confused in interpreting the meaning of a statement since listening to the Clinton Impeachment Trial in 1999. While there may have been other sites that chose to post the assertion that the LDS Church cannery facilities would be CLOSED, this site was not one of those. However, since the publishing of my original article there have been a myriad of substantiating messages, posts, phone calls and e-mails come to me in an effort to lend credence to the facts of my original article. On Monday, May 6, 2013, Tony K. from MO also confirmed that wards were informed of these changes: “We were told Sunday that the end of canning would go in to effect in June. Supplies would still be available and we would still be able to order food items in #10 cans. But no longer would we be able to can on site or buy the large 25 and 50 pound bags of items. “The LDS cannery in Richmond, Virginia (in June) will cease letting individuals can foods themselves. My understanding, they will still sell dry bulk foods (i.e 50 pounds bags) and will accept orders for #10 can orders packed by LDS cannery staff. I don't know what the costs will be for the latter"
Another commenter on my Facebook page, who wished to remain anonymous said this in response to my article on May 3rd, 2013: “Yes, after June we, members of the Church of Jesus Christ of Latter-day Saints and non-members, will no longer be able to can food items at the cannery. It is due to government regulations and the liability issues. However, people can still purchase pre-canned food items as well as bulk. We can also check out the canner so we will be able to can our personal food items in our homes. I am planning on informing the Provident Living and Self-Reliance group once it is officially announced this coming Sunday. I was asked to wait until then so I am complying." There’s a litany of other first-hand reports all over the nation which support the conclusions I came to in my article after conducting personal interviews, not the least of which was the photo of the actual, official announcement that was handed out to patrons of the Greensboro, NC LDS Cannery location which clearly states “We will no longer be canning at this facility after June 26th, 2013.” In the center of the handout, in bold, you can clearly see the authors of this notice, “Elder and Sister Lockett”, who are the supervisors of the Greensboro location which will obviously be impacted by these changes. 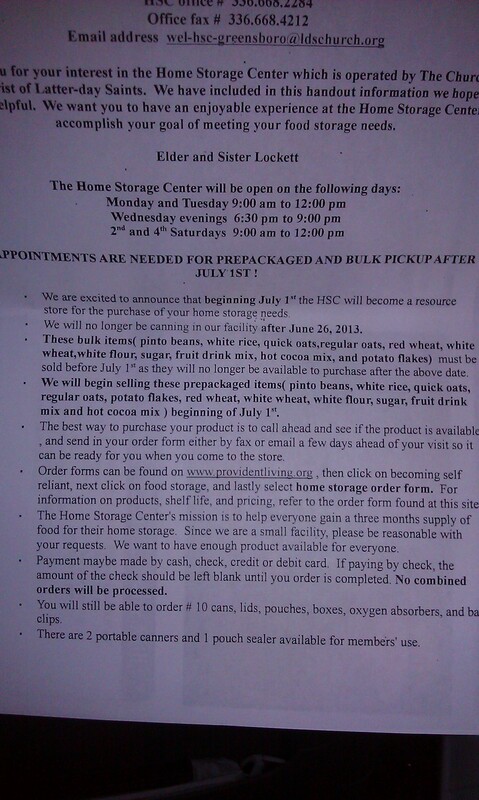 This handout goes on to list a great many standard essential “bulk items” which will “no longer be available after July 1, 2013 but which will be replaced by “prepackaged items” on July 1, 2013. I don’t know how we can state it any clearer…the facilities will not be closed, but will be functioning in a very different capacity offering primarily pre-packaged items. Nothing that the LDS Church spokesperson or the author says succeeds in refuting that physical evidence, and in fact, only supports it, all while claiming to deny it. Seems to me that there’s plenty of confirmation to go around to substantiate my initial story, but there still seems to be plenty of confusion as to what exactly the Deseret News article “debunked” or “refuted.” Perhaps someone else, somewhere, attempted to report that the facilities were being closed but it was not PreparednessPro.com. Ironically, as I tried to find such news on the internet, I kept coming across MY original story, but with the headline changed, using the word “Closed” instead of “halting canning.” *sigh* (See why I try to protect my copyrights?) Anyway, it looks to me that all that this spokesperson and author may have done is confuse people a little bit more on the issue rather than “debunk” anything. “I'm confused. This article, and the Church's response, seems to validate rather than refute Kellene's article at Preparedness Pro. The claim, as I understand it, is that no new canning will occur -- not that the canneries will be completely shut down or that no goods will be available. The Church's statement supports rather than debunks the article because they say that pre-packaged food will be available, meaning no newly canned stuff. Such a statement is incomplete in that members of the LDS Church as well as NON-members of the LDS faith are served by these wonderful facilities. There are no restrictions based on one’s faith at any of the LDS Church Cannery locations. So come one and come all and take advantage of the savings, which will reportedly NOT go up as I had supposed, due to transportation costs—so consider that a temporary reprieve and get to work on your preparedness efforts before things tighten down even more. Just to make one clairification if I may. The statement you made about "ALL" being welcome at the canneries may be true from most but not all. Here in New Jersey I use to be able to take advantage of the facility years ago and after having to work near the Pentagon for a few years and being away from the area, I called the man in charge of the cannery here in NJ and he told me two years ago or so that "only" church members were allowed to to use the facility here. I do not know if they had a bad time from someone in the non-LDS community that left them tainted or what but I truly do miss being able to get bulk items from the local cannery. Thanks for the article. Great work as always..
One of the reasons they might suggest a member to come with you is that in order to can you need a number of people...I want to say at least 4--two to pour the food into cans, at least one to tap the cans down and put a lid on them, and one to run the canner. Ideally you'd have at least 6--2 to pour the food, 2 to tap down/put on lids, 1 to run the canner and one to move/box the cans. Generally they suggest you come when other people will be there--usually scheduled LDS groups--so that you can join in with them to can your food. Many hands make light (and quick) work. Dragonmedic, I'd try calling your local cannery again. I'm not sure why they told you that--it's possible the person you spoke with was misinformed. The couple who run the cannery near me don't even ask if you're a member when you call. You could say something like, "I'd like to come in a can some food. Is there a local group signed up that I can join up with?" My how people love to just shoot off at the mouth and not look back to be sure they know what they are doing. I am not able to understand why the anger is directed at YOU, instead of where it needs to be. YOU did nothing wrong but show how the gov't is again, at its best in getting involved in anything that lets people be independent of a failed system. The closer people come to the truth of issues, the more resistance people will get from those that don't want the truth out. It is a shame the Mr. Walker took the stance of saying things are not closing. Because you never said they were "closing", that they were no longer able to continue in the manner in which they currently run. That there will be less ability to do what they do for others because of the gov't interfierence. Perhaps he should read your article again, and think of "down sizing" as a word, wait, doesn't downsizing and closeure kind of mean the same thing? Look here Mr. Walker, Mrs. Bishop knows her stuff and doesn't just publish garbage. You sir may be blinded by the paint behind the writing on the wall, but that does not mean your story debunked what Mrs. Bishop was saying. So step aside and let this lady do her job. Stop trying so hard to confuse with more run around and chasing your tail. Sheessshhhhh! Mrs. Bishop, you know how I feel about all you do in a day! Stay calm and carry on! You have people that can hear you and see you for inspiration that you are! 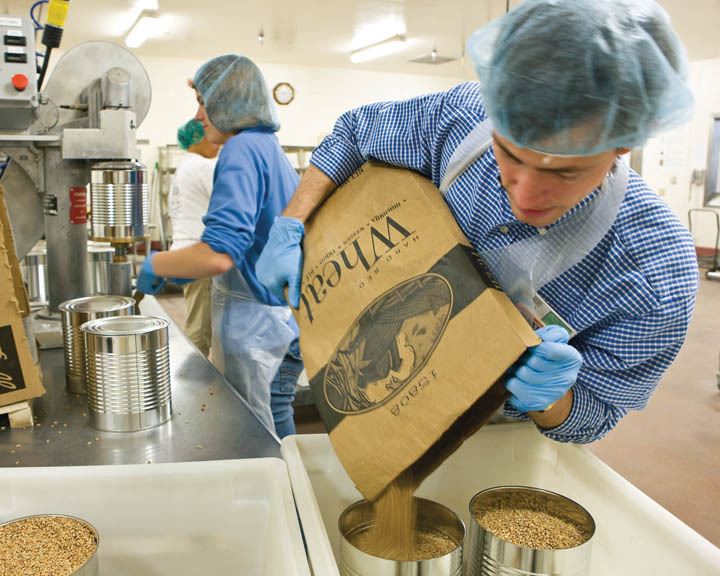 These new FDA regulations will likely force the senior couples, who operate the canning facilities, to irradiate the food and possibly pasteurize it as well. This is what almond growers in California were forced to do. In the end, it destroys some of the nutrition found in the food. Well I tried to comment on the DesNews article, trying to get people to this page to read your response. They don't allow links (or at least long hyperlinks), so I gave them a detailed way to find you from the link in the DN article. The season of goodwill Gordon B. Hinckley mentioned will NOT last last forever...seasons change. I am a patient, roll-with-the-punches kind of gal, but I do value and look for accuracy when information is flying about. I appreciate your process and resulting post. I have contacted our Home Storage Center for updates, if indeed there are any at this time. So...what big chain( ie: SAMs club, Costco) used their lobbying power to influence THIS policy. We all know that money is the issue here. For every volunteer hour spent saving on canning costs, a big chain is losing out on bulk sales somewhere. Crazy how the government 'by the dollar for the dollar' works these days!! Thank you for the update. Keep up the good work you are doing. God bless you. I am a dry Mormon, a person who likes the Mormon culture, but has never been baptized. I think that the government will just slowly dry up resources for us preppers to get our foods. This is unrelated, but, have any of you ever thought about stock piling body building products such as WHEY, L-ARGININE, CREATININE, GLUTAMIC ACID, N-Acetyl Ciesteine, ALA, Astragalus, Milk Thistle, and so on and so on. These are all great nutrients that can put you way ahead of the game in a survival situation, or in a lack of food situation. This stuff is pure proteine and will prevent muscle atrophy in a near starvation environment. One spoonful of Whey concentrate is the same thing as eating a steak as far as grams of proteine go. The nice thing about these body building products is that they come in a nice air tight container that blocks light, and they have a real long shelf life. Their shelf life is almost like Mountain House freezed dried food. I have not heard of any preppers stocking up on these amino acids and herbs, but I AM. How about you? Wait til you see the article on Teff and Amaranth. Power packed with protein and complete amino acids profile as well as great source of fiber and other vitamins and nutrients. Oh yeah, and it's oh, so easy to grow! I love those kind of products and have used them before when I was a bit younger and would use them again if necessary. Having stated this I do have one caution. Having used them, they can be very hard on the kidneys. be sure to drink plenty of fluids while taking them. I had to discontinue the Whey (protein powder) use for a while. There are a couple of LDS canneries within a few hours driving distance from where I live (I found them on the Internet yesterday, after reading your article). I am interested in driving to one of them and mass-purchasing stock, but could not get a clear answer to this question: As a non-LDS member, do I need an LDS member to go with me? I found some articles that said yes, some that said no. Anyone with an answer? That is not the official position of the LDS Church. What I would do is simply call the cannery which you intend to go. I have MANY non-LDS friends and NONE of them have said that they needed to be accompanied. I've never been asked for any particular ID or anything like that. That's not to say that there aren't. 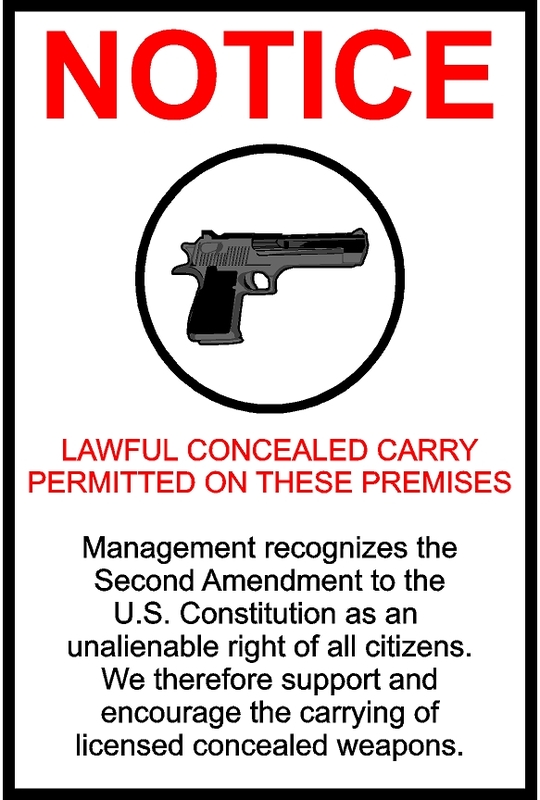 some individuals who may misunderstand what the policy is on the matter, but I do not know of any policy requiring a member to be accompanied. Just call the cannery directly is my suggestion. Good morning, thanks Ms. Bishop, for ALL you do! I just wanted to say, yes, here in Tennessee, you must call the cannnery, they put you in touch with an elder in your town, and that elder must accompany you... Though we are tolerant of religious beliefs, we did not want to be prosthelitized and therefore felt it was not an opttion for us, even tho the cannery is only 20 mi away. I am disturbed by this government interference and hastens my commitment to be prepared! I just double checked and it's been made clear to me that you've been provided unofficial information. This is not the standard policy, nationwide. just FYI. However, even if it was, I'm POSITIVE that any missionary would honor your wishes and not be proselytized. I am not a member of the LDS church, but God bless them. I spent the afternoon yesterday at the cannery in Stockton CA canning bulk food supplies that I purchased there into #10 cans that I purchased there as well. Very friendly volunteers there assisted me. I was told that they have not been told about any coming changes officially as yet, but they have heard the same rumors the rest of us have. Just can't say enough good about the experience. It seems like "spin" was essential in maintaining antagonism. Still, I appreciate the coverage. 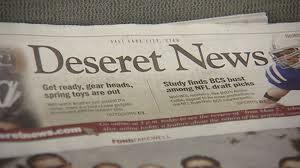 So this blog is more about you being right, and the Deseret News being wrong? Are you going to start tapping their phones next? Ladies and Gentlemen, I give you Exhibit A: Just goes to show you that there still are people who believe that the lamestream media can not only print anything they want regardless of whether it's right or wrong, but such persons would also persecute YOU if you dare to correct them. Begone, Antagonist. Folks on this page actually are pretty fed up with being lied to in the media as well as being surrounded by the cowards who would let them get away with it. and by the way, clearly you missed the update in which the Deseret News actually printed a retraction and an unequivocal apology. Bunch of alarmists... who cares if people can only purchase pre-packaged food? Can someone please explain what all this fuss is about, and what specific "government regulations" are being imposed here? No more double-speak and innuendo. Btw, if President Monson were to ever start spouting all the speculative nonsense being espoused here, that's the day I'd leave this church. Well, nice to know where your "endure to the end" ends. To all - I am LDS and please note that the Church said specifically "The church is not closing canneries and is not limiting the variety of goods available to church members. The only thing being reduced over time is the number of locations at which members can purchase bulk food and can it themselves onsite." What this means is that the Church is consolidating shipping locations NOT canning. 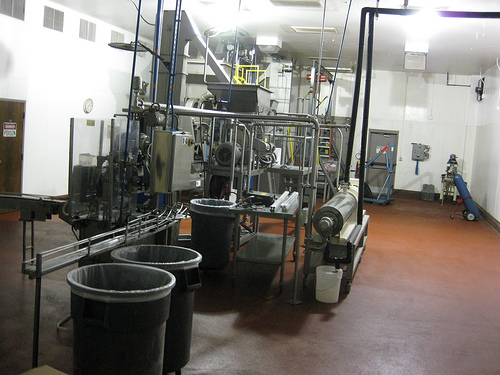 I have worked in these canneries - they produce various types of foods based on the location. Canned corn may come from some canneries and peanut-butter from others. Please note that the Church membership is growing dramatically. To close canneries is not logical or practical. The Church has a huge presence in many states, owning farmland, dairy farms, and other resources all used for the Church welfare efforts. So when you see hundreds of storm victims receiving food and clothes, you can thank the Mormons for their contribution. In OK alone, more than 5,300 Mormon volunteers have assisted with cleanup efforts, providing 34,000 hours of service. Along with tons of food, clothes, and medical supplies. I hope this clears up some of the confusion. Take care! Obviously, one's religious faith does not give them a monopoly on accuracy. I too am LDS and unlike all of the naysayers regarding this topic thus far, I actually conducted interviews not only to canneries in the East, but also all over the U.S. in response to numerous readers who have provided me information regarding the changes that are going on in their area. I find it interesting that those who are LDS or otherwise profess to be "good Christians", who supposedly espouse treating their neighbors with kindness, are the same persons who don't even hesitate for a moment to essentially call me a liar when all that they would need to do is to make a dozen phone calls to the ACTUAL canneries! It's just despicable and hypocritical to the enth degree and such persons should be ashamed of themselves--especially when it will become OBVIOUS that I'm correct. But instead of kicking up one's preparedness efforts, folks will just waste their time "killing the messenger." Well that was just downright snarky. Frankly, I appreciate your research and that you took the time to bring us the truth, but for some people, it takes time to reconcile the truth with what we're being told. As you yourself said, it's all been very confusing. For someone who just blasted someone else on treating others with brotherly kindness and supposed hypocrisy, you could have phrased your response with a little brotherly kindness yourself. I sensed no kind of antagonism in the post that you responded to, simply confusion with what's being said by different sources and trying to be helpful in making sense of this mess. It makes me seriously annoyed when an honest discussion or comment gets such a nasty response, especially from the author! I understand that you want to go on the record as being correct and feel frustrated when people haven't yet come to that conclusion based on all the information you have presented, but that is no excuse for unpleasantness. Let me see if I've got this correct, Christine. It's OK for persons to question my integrity--anonymously, like cowards--in a public manner like this, but it's not OK for me to respond accordingly? I'm just supposed to be OK with the fact that all of this so-called confusion could be remedied if people actually did their own homework with a couple days worth of phone calls instead of ignorantly slamming the results of MY time? Your original article was pretty good and you have done a good job in reclarifying points. The church came out with a second statement that was more clear. I am a manager of a HSCenter and nonmembers are always welcome. Only members are allowed to check out equipment but they can do so and then can with their nonmember friends. There are some slight different variations at individual centers as they are managed by volunteers who have some autonomy. While new regulations was one of the reasons, the ceasing of canning was decided upon due to many other factors. This new plan is more cost effective, there is less waste, the transportation costs are lower and it affords convenience in that you can merely purchase instead of canning your own food. The church always weighs many factors in its decisions. We certainly could cook in church kitchens if the church decided they wanted to install commercial dishwashers and ventilation systems and pay higher insurance premiums etc. One of our Articles of Faith states that we obey the laws of the land. And lastly, according to my church employee boss, the raid on the center never happened though sources say it most assuredly did. There you have it. My two cents. I do believe it to be factual. I'm from North Salt Lake, Utah. It was just announced in church today that our dry pack canneries are CLOSED! We can no longer pack food and buy it there. It will now operate as a store on MWF 9 am - 1 pm and two nights a week for a few hours. We can still purchase the same dry pack items, but not go there to serve and work. Very disappointed that this has happened. Wish the LDS leaders would tell the government to: "shove it"!!!! !